The district-charter divide has dominated national news headlines for years. As a teacher, district-charter difference is the topic that often dominates questions from my non-educator friends. With all the attention paid to the discord, it is easy to assume that most people would rather talk about what separates schools instead of focusing on what can connect them. I believe, and many agree, that focusing on what can connect all schools is the only way we will truly be able to serve all students. Teacher collaboration is often limited to sharing teaching practices, but educators are experts in so many other ways. Often the few opportunities teachers have to collaborate across schools or networks are focused on pedagogy. Yet, every day teachers bear witness to the larger systemic issues facing their students. If city-wide changes will be made to better serve students, we need district and charter teachers to come share their expertise. We need teachers who have years of experience advocating for students within the special education system. We need teachers who work closely with Oakland’s diverse population of newcomers. We need teachers who have served on their schools’ leadership committees, and can share which operational structures are serving students and which ones are not. We need teachers who have worked in both district and charter schools or in multiple neighborhoods to share common threads of success and opportunities for growth. We cannot create a vision for the future until we have a full picture of what is happening on the ground right now. 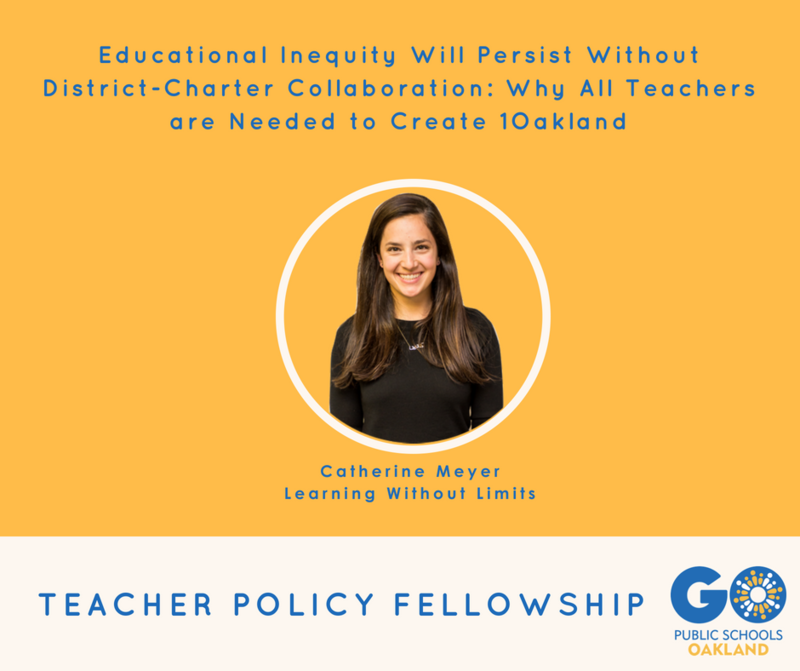 It’s time for new voices, the voices of Oakland educators, to join the conversation. 1Oakland is committed to illuminating the insights of people who haven’t always been heard. Sign 1Oakland’s collective call to action as a show of public support for the vision of 1Oakland. The Systems of Schools Policy is a proposed Oakland Unified School District board policy that aligns with the vision of 1Oakland and will help us get to work on serving all of Oakland’s students across both district and charter run public schools. Click this link to fill out a form that will send an email to all 7 school board members urging them to support. 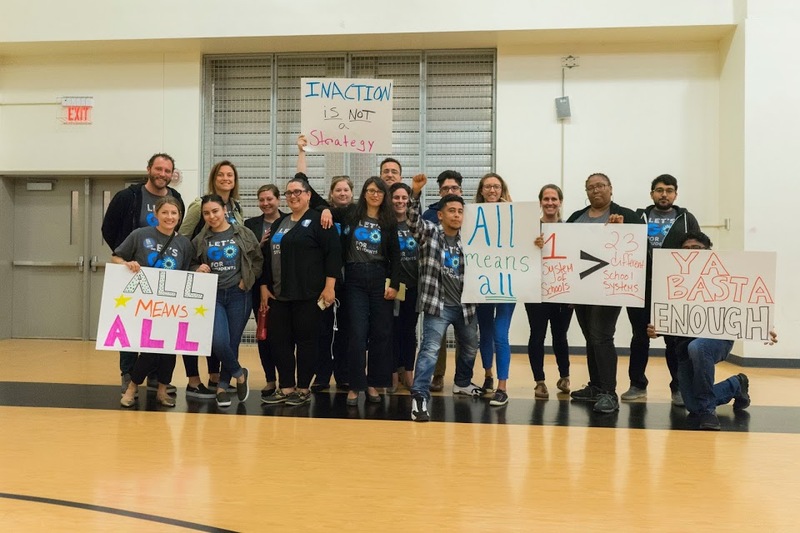 Come to the GO Teacher Policy Fellowship’s Call to Action event at the GO office on May 31st to dive deeper into the campaign and learn about other ways to get involved. Click here to RSVP to the event!